Here are details of our current classes and workshops, where to go and how you can get involved. 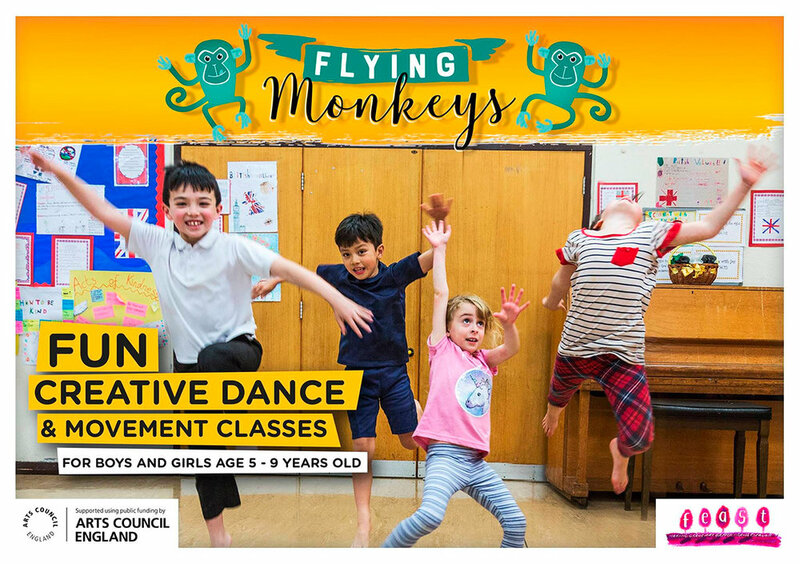 Flying Monkeys is a chance for children to discover the delights of their ideas and physical potential, to move freely and expressively and flourish in a lively and safe environment. Tuesdays: 3.45pm – 5pm, Lostwithiel Community Centre, PL22 0HE. All lead dance artists are highly experienced teachers with DBS and insurance. Mixing gentle exercise, all styles of dance and great music with lot's of laughter. Everyone is welcome to give a go.
" We love it, it keeps heart, body and soul together" class participant. When: Tuesday mornings 9.45 am - 10.45 am (closed during main holidays). Contact: Lois Taylor - 07730 586306 for more information. Everyone is invited to work from where they are the day they come along, if you feel tired take it easy if you are full of energy, you can go for it. You will always be supported and encouraged. We use great music and have fun in this lovely opportunity to move your body freely. Come on your own or with your friend, carers, family members. When: Thursday mornings 10.30 am - 12 (closed during main holidays). Fee: £6.00 per session or donate what you feel you can.